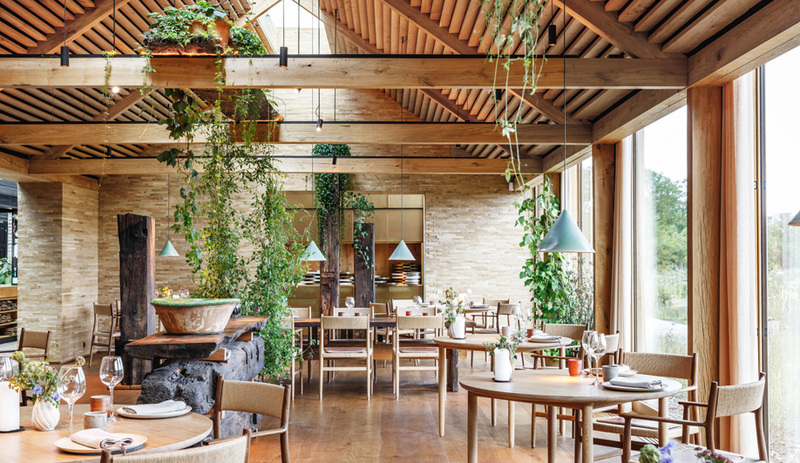 Over the past few years, Montevideo firm MAPA has been planting a dynamic series of retreats – complete with a chapel and other “landscape amplifiers” – across 100 hectares of Uruguayan countryside. The result is a getaway as sensitive as it is stunning. A hotel that nearly disappears within a reflection of its surroundings may seem like the ultimate in low-impact tourism. 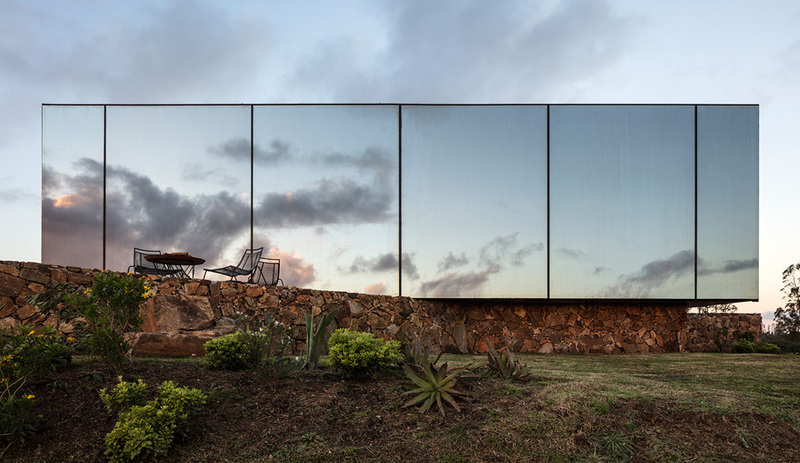 But the ethereal, mirror-clad facade of Uruguay’s Sacromonte Crafted Wines and Landscape Hotel, a getaway designed by Montevideo-based firm MAPA, reveals only part of the project. 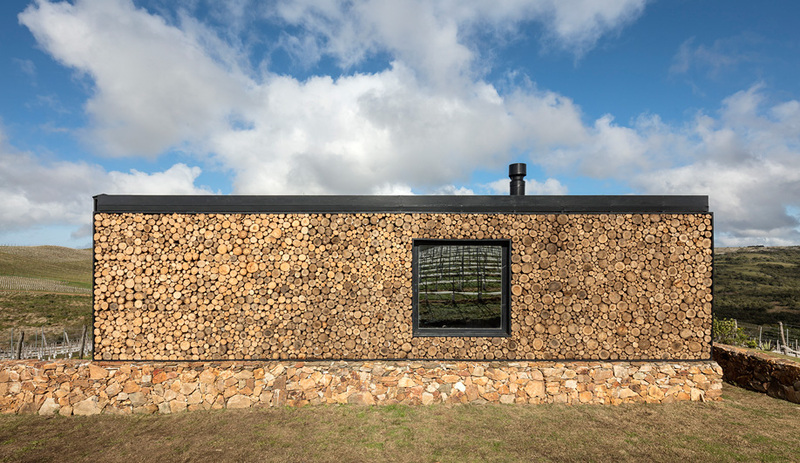 Indeed, walk around to the other side of the building – one of four 60-square-metre units spread out over the 100-hectare site – and you’ll see a riot of wood: a facade inspired by firewood cords, composed of variously sized logs cut to 25-centimetre lengths. 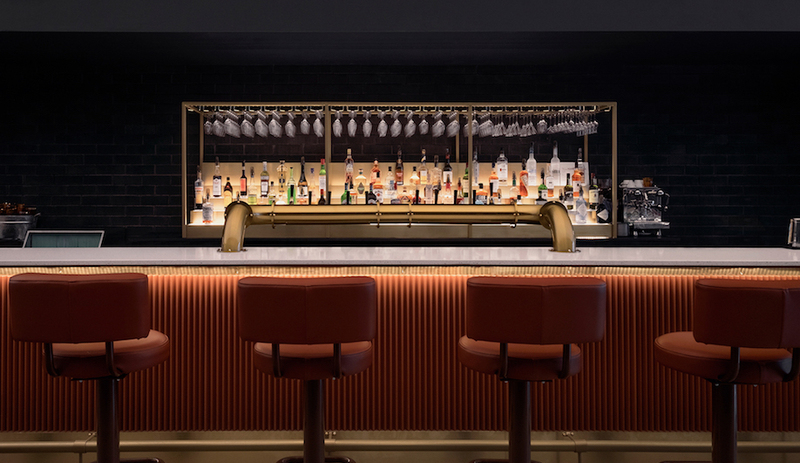 Stacked together and attached to the building’s steel frame, they make for a nearly 40-centimetre-thick wall – and create a stark contrast to that filmy one-way mirror. 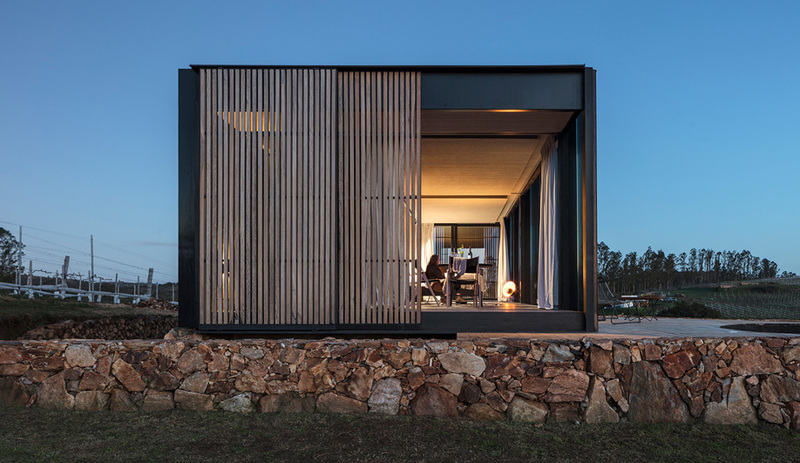 On another side of the mirrored cabin, a 15-centimetre-thick steel frame supports logs of various diameters to form a 40-centimetre-thick wall. The facades of Sacromonte’s four cabins are composed of various materials, from mirrored fronts to slatted-wood sliding walls. 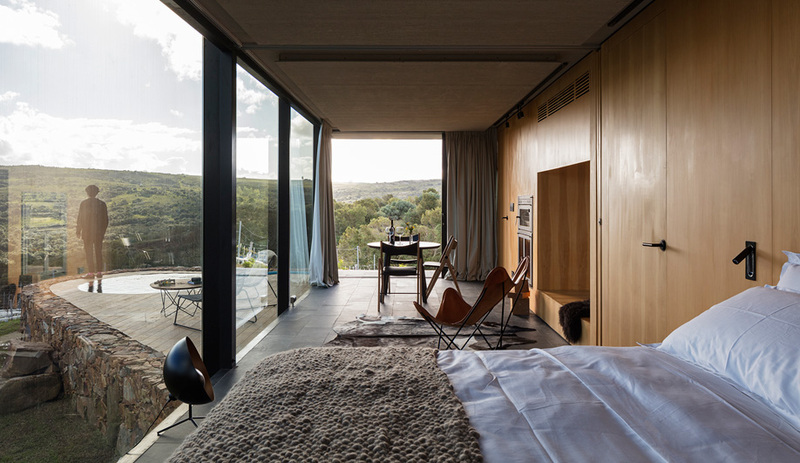 Wraparound floor-to-ceiling windows in the bedroom area bring the outdoors inside. The initial result is just four shelters – each made of pre-fab steel – that respond to their particular settings. Perched on individual, uniquely shaped decks with private sunken pools, the single-family retreats are equipped with a king-size bed, a niche with a daybed suitable for a child and a wood-burning fireplace (for ambience and to cook food that may be delivered to order). The layouts are organized as a series of what MAPA describes as longitudinal planes: The sleeping and dining zones are separated by sliding doors, while the kitchen and bathing areas are located behind a wood wall. By mid-2019, there will be a central reception building and nine more shelters (each 25 square metres). According to the master plan, however, none of these elements will be visible from any other, allowing guests to enjoy their surroundings in solitude and making for something of a deconstructed hotel. A non-denominational chapel punctured by a black box (or viewfinder) can itself be seen as a sculpture from afar. Wine lovers journeying to this idyllic landscape are met at a small, grassy parking lot – on the far side of a hill that masks the site from the road – by staff in small electric vehicles. Once delivered to their rooms, guests will find their own electric cars to get around the site. As they wander, whether by car or on foot, they’ll encounter various “landscape amplifiers” crafted by Portugal’s Portilame in cross-laminated timber. These include a chapel, three 2.5-metre-long kaleidoscopes and a long table that can comfortably seat 50. 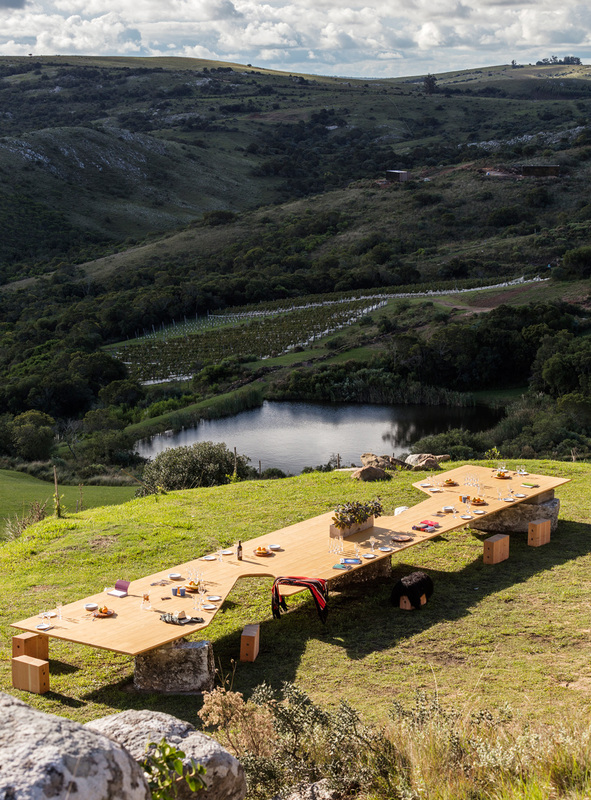 Able to seat up to 50 people for events such as wine tastings, the outdoor communal table offers unfettered views. These amplifiers are meant to both draw attention to themselves – they are not natural shapes or scales – and redirect the viewer’s gaze to the landscape. The table, with its eccentric cut-outs, is set on grass and offers sunset vistas during communal tastings of Sacromonte’s small-batch wines. 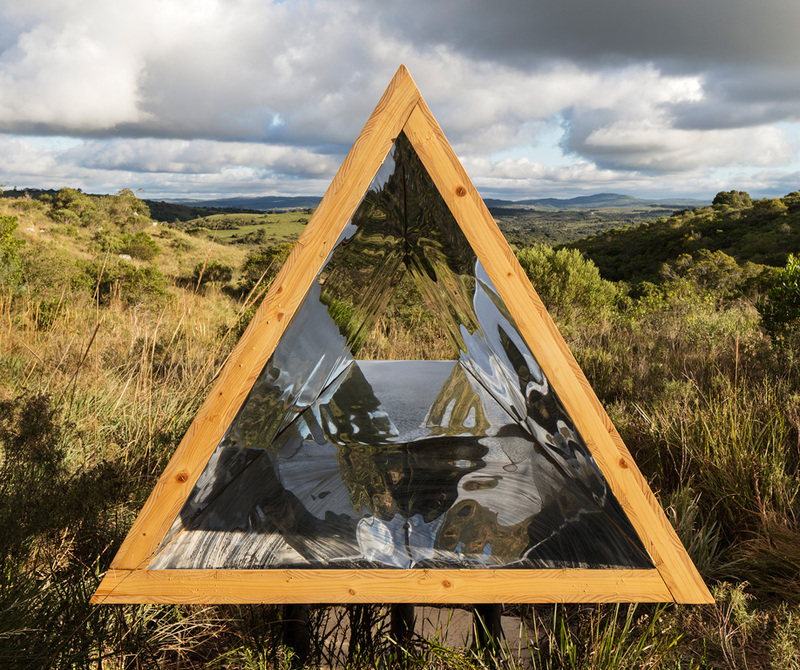 The kaleidoscopes – each lined with mirrors and large enough to crawl into – fracture and intensify their surroundings (respectively, a stream, a valley and – in the distance – Sacromonte itself). 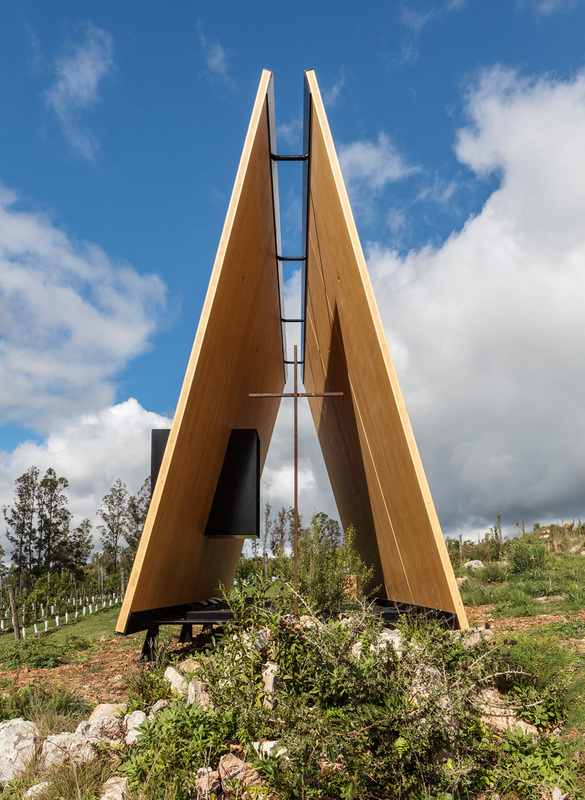 And the chapel – made of two six-by-nine-metre walls leaning toward each other, one of which is punctured by a black box that looks a bit like a horizontal chimney from one angle and a competing mass from another – is set in a small clearing in a vineyard. Though the narrow enclosure, with its evocative lines and vestigial countenance, does accommodate visitors, it also acts as an object of contemplation from afar. One of three 2.5-metre-long kaleidoscopes that reflect the land and allow guests to crawl right into them. Despite being South America’s second-smallest country, Uruguay has long punched above its weight when it comes to innovative architecture. Past projects of note include Eladio Dieste’s world-famous brick structures and the dramatic subterranean mausoleum that Lucas Ríos Demalde and Alejandro Morón designed in honour of the nation’s founder. 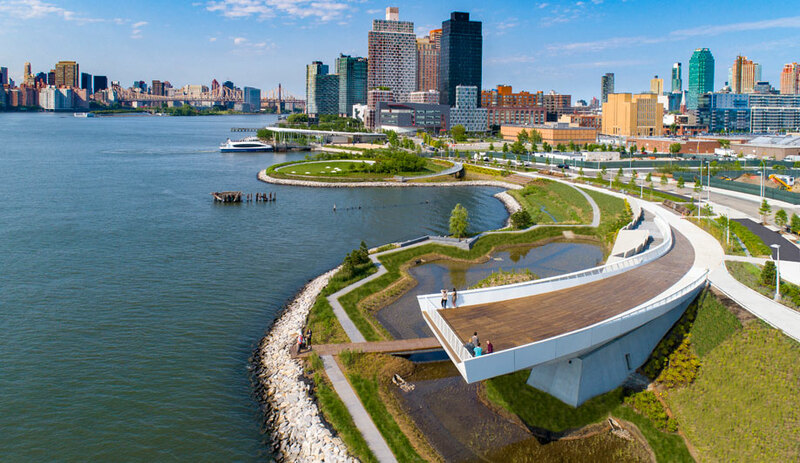 More recently, Rafael Viñoly’s circular bridge for the Laguna Garzón and a café-bakery sensitively installed by Pedro Livni in a Montevideo heritage building have generated buzz. 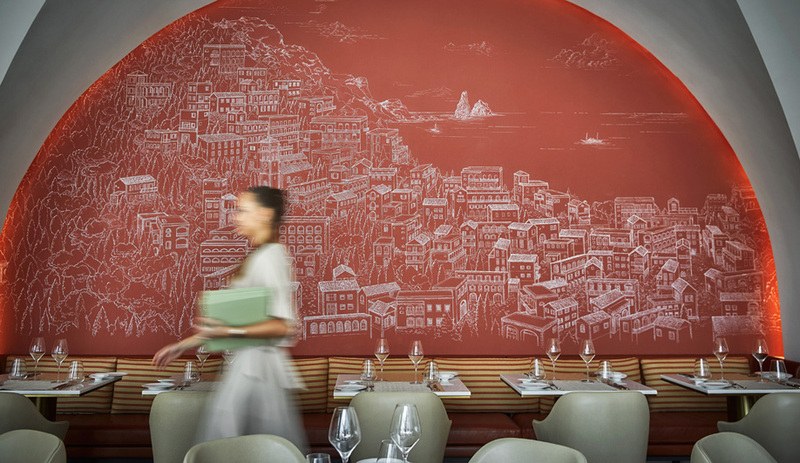 MAPA’s profound yet simple design style seems destined to carry the torch. In addition to pursuing projects in neighbouring Brazil, the firm is considering opening a North American office. For now, however, one of the best places to experience its thoughtful, site-specific work are 100 rolling hectares in Uruguay’s southeast.